A Whitney Houston biopic is set for release in 2015. Angela Basset will make her directorial debut on the movie, with the working title 'Whitney Houston', which will the follow the late star's rocky relationship with her husband Bobby Brown who she separated from in 2006 before their divorce was finalised in 2007, reports E! Online. The Oscar-nominee is thrilled to be directing the lifetime movie and feels "responsible" for telling the late star's story following her death in in February 2013, when was aged 48, and accidentally drowned at The Beverly Hilton, with heart disease and cocaine use listed as contributing factors. Bassett, 55, said in a statement: "I have such regard for both Whitney's and Bobby's amazing talents and accomplishments, and I feel a responsibility in the telling of their story. Their humanity and bond fascinates us all. I'm beyond excited to have this opportunity to go behind the camera and into their world." 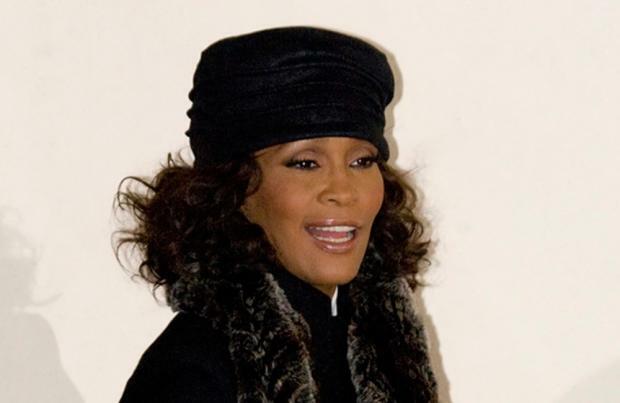 'Whitney Houston' will be executive produced and written by Larry Sanitsky and Shem Bitterman, the team behind the 2013 biographical drama 'Betty and Correta' in which Basset starred opposite Mary J Blige. She also starred with the late Houston in the 1995 picture 'Waiting to Exhale'. Cast details for the film are yet to be announced.